Who didn’t play with Tonka Trucks as a child? 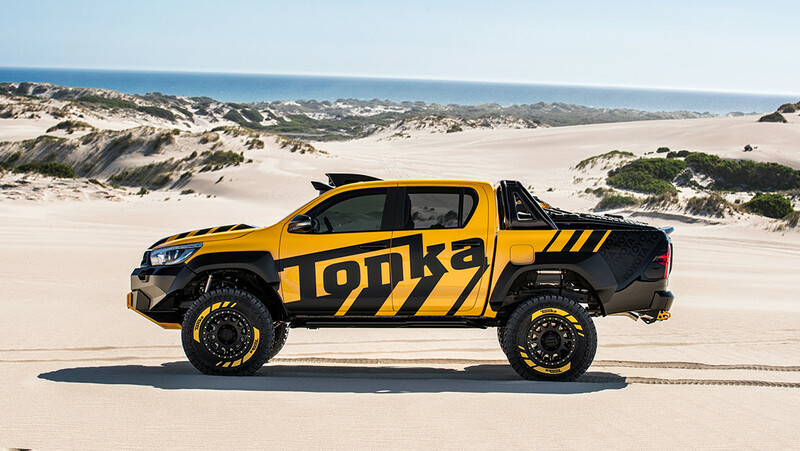 Designers at Toyota Australia have whipped up a bit of nostalgia by creating a concept HiLux pickup in the form of a life-sized Tonka truck. 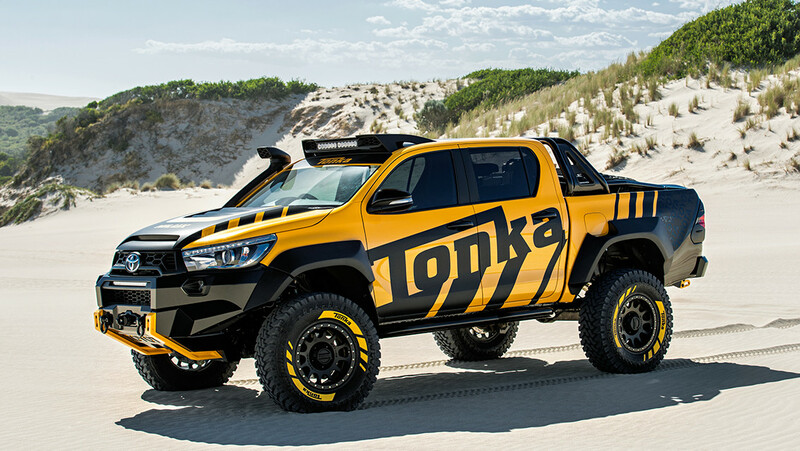 Built for off-roading, the vehicle features 35 inch tires, a 2.8-liter four-cylinder turbo-diesel engine, and is lifted 6 inches higher than a regular 2016 SR5 double cab HiLux truck. 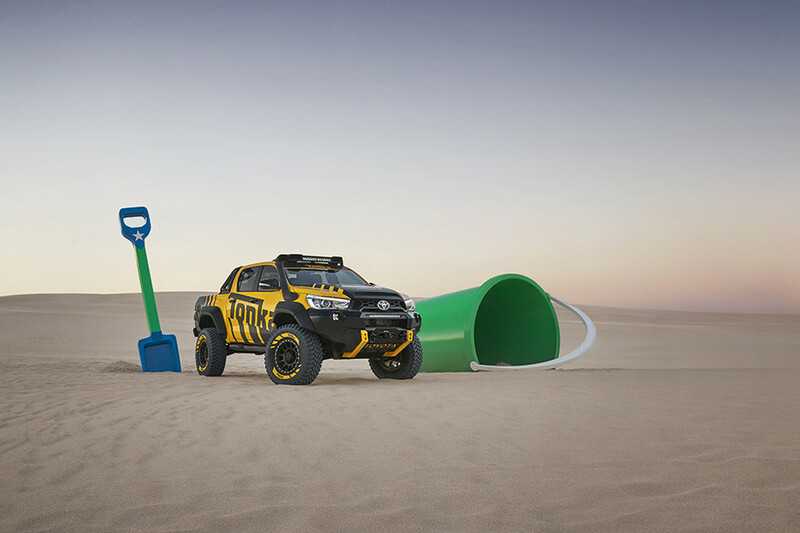 This thing is built for the sand and is characterized a “full-size dream toy for adults” by Toyota. I’m not going to lie, the truck looks pretty sleek and has a sharp paint job. Those of you who live in Australia or plan on visiting in the next few months can catch the life-sized Tonka truck on tour through June.